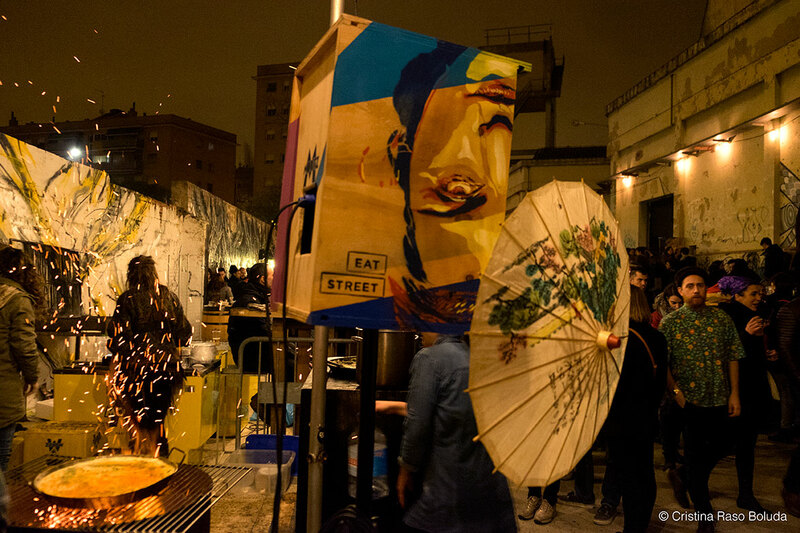 This Saturday the 16th of December La Nau Bostik (a cultural venue in Sagrera) hosts a street food market. Why is it cheesy? Clearly because cheeses are tall around! You will have a chance to try Mexican, Italian, Swiss, German, Korean, Turkish and of course Catalan cheeses. Everything will be cooked in front of your eyes (and mouth!) and also you’ll get a chance to touch, smell and taste everything at workshops and tastings created by experts. Additionally, you can attend gastronomic activities and try “Maridatges” (ecological wine and glühwein) and “Carajillo” (coffee with alcohol). Only 3 minutes from metro (L1: La Sagrera) from 12:00 to 23:00, we recommend going early due to the limited capacity of the space. Plus, the entrance is free of charge! Gaudi’s art is something we admire in Barcelona. If somehow you are not yet fascinated by his masterpieces you‘ll have a chance now, with this night experience around Barcelona’s buildings. The ticket costs 34€ . It includes projections in the Passeig de Gracia courtyard, discovering the building’s most remarkable treasures, an audiovisual show on Barcelona’s most famous roof terraces, guide of La Pedrera and in the end a glass of cava to complete a beautiful evening. The night starts at 7:00pm at La Pedrera, the address is Provença, 261-265. Get your ticket here. Pasta is always a good idea, especially if it is homemade. Macchina pasta bars are one of few places that have not only homemade pasta, but homemade sauces too. The idea is simple; choose the pasta you prefer, the sauce and any ingredients you might want to add on top. Every dish is custom-cooked to suit your tastes and will be cooked right in front of you. Also, there’s a special daily menu where you can have soup or a small salad, pasta and a drink from 9.90€. There are several Maccina bars scattered around the city; our favorite ones are in Gracia (Carrer d’Astúries, 17) and Plaza Catalunya (Carrer Escudellers, 47). This week we have found another event to spend a different night out with friends. Shenanigans Irish Pub in Raval hosts a three-round quiz with ten questions in each round. In every round, there’s a winner who gets free shots, but the most exciting part is that the overall winning team gets a €30 bar tab! The audience is of all kinds; from locals to city visitors and students. The quizmasters create questions for everyone, so don’t worry, the topic is going to be familiar. You can go on your own and join a team, or you can go with your team. Either way, you’ll make new friends, get a bit smarter and have a lot of fun along the way. They say that this quiz has sponsors, so, perhaps you could win ski trips, tickets to Barça games, more drinks, trips within Europe, and many more! We have never seen it happening, but you never know. The address is Carrer del Marquès de Barberà.